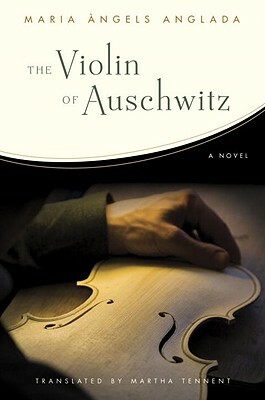 An international sensation now available in English for the first time, The Violin of Auschwitz is the unforgettable story of one man’s refusal to surrender his dignity in the face of history’s greatest atrocity. In the winter of 1991, at a concert in Krakow, an older woman with a marvelously pitched violin meets a fellow musician who is instantly captivated by her instrument. When he asks her how she obtained it, she reveals the remarkable story behind its origin. . . . Imprisoned at Auschwitz, the notorious concentration camp, Daniel feels his humanity slipping away. Treasured memories of the young woman he loved and the prayers that once lingered on his lips become hazier with each passing day. Then a visit from a mysterious stranger changes everything, as Daniel’s former identity as a crafter of fine violins is revealed to all. The camp’s two most dangerous men use this information to make a cruel wager: If Daniel can build a successful violin within a certain number of days, the Kommandant wins a case of the finest burgundy. If not, the camp doctor, a torturer, gets hold of Daniel. And so, battling exhaustion, Daniel tries to recapture his lost art, knowing all too well the likely cost of failure. Written with lyrical simplicity and haunting beauty—and interspersed with chilling, actual Nazi documentation—The Violin of Auschwitz is more than just a novel: It is a testament to the strength of the human spirit and the power of beauty, art, and hope to triumph over the darkest adversity. Maria angels Anglada (1930-99) was one of the most important Catalan figures of the twentieth century and one of its most prestigious and widely read authors. She was the winner of many awards and honors, including the Octavi Pellissa Prize for her book of short stories "Nit de 1911."